Microsoft is late to the party but better late than never, right? 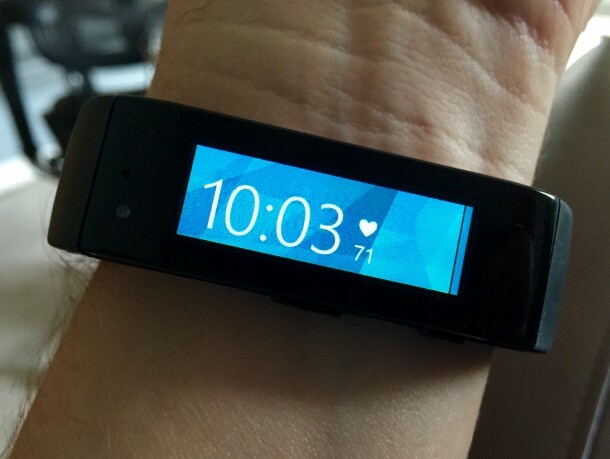 Say hello to the Band by Microsoft that qualifies as the latest addition to the wearable tech family. The wearable has sensors embedded into it that allow for fitness tracking and imparts smartwatch functions to the wearable gadget. 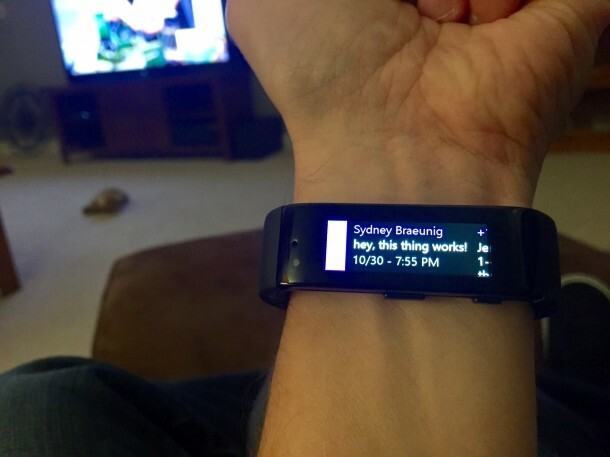 The gadget, Microsoft Band, is quite similar to the Samsung’s Gear Fit and comes with a 1.4” display (320×106) and has fairly low-key looks. The device has twin 100 mAh batteries which, as per company’s claims, are capable of charging fully in under 1.5 hours and the gadget is capable of running for about 2 hours before another charging is required. The device is equipped with 10 sensors that include GPS and it can keep track of steps, distance travelling, quality and duration of sleep, calories burned and even allows the users to set daily goals for steps taken and calories burned. The gadget also comes with a UV monitor that allows the user to know the UV index, through which the users can find out when to apply sunscreen. 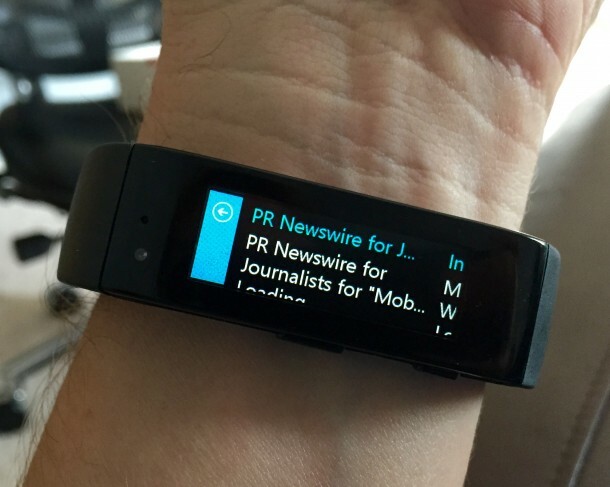 Microsoft Band is to work with Microsoft Health service that is cloud-based and uses an Intelligence Engine in order to deliver advice and information pertaining to fitness. 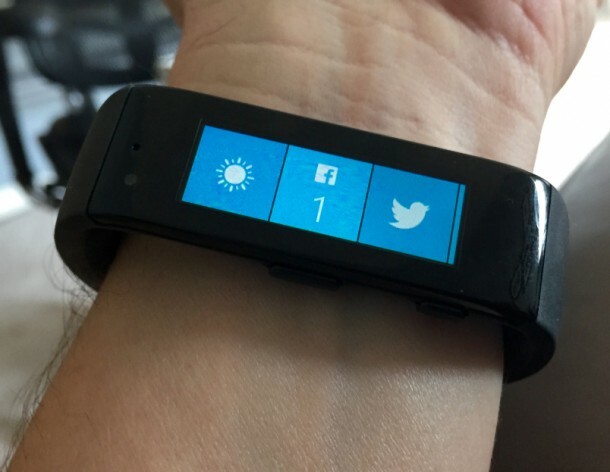 Microsoft has teamed up with RunKeeper, Gold’s Gym and MyFitnessPal, thus allowing the users to keep the gadget synchronized and access information from the service that they prefer. The gadget is capable of connecting to almost all platforms (so you need not worry about which smartphone or OS it is compatible with). The connection is made via Bluetooth and once the connection is established, the Band is capable of displaying email previews, calendar alerts, incoming calls, weather in real time and a myriad other notifications.